ECP, Nadra and civil society are working to register as many women voters as possible as elections approach. 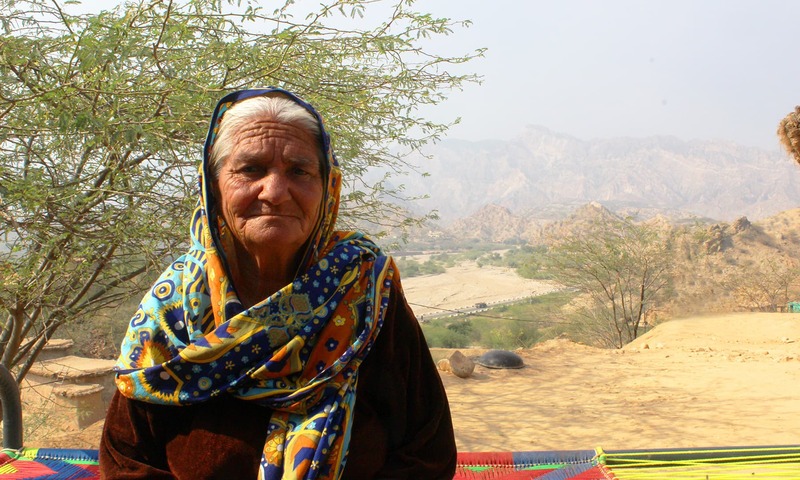 72-year-old Khayal Marjana lives in a mudhouse on a hill about ten kilometres from the centre of Kalabagh in district Mianwali. She doesn’t remember how long she has been living in the same house, but recalls that her parental house used to be on a hill opposite to where she lives now. She has spent her entire life in this small settlement of Kuchhtundar Khel. This year is the first time that Marjana has ever applied for a computerised national identity card (CNIC), or an identity card at all for that matter. She has been an active voter in past elections but at this age, it is hard for her to recall whom she voted for. It is necessary for her to get a CNIC now if she is to vote in the upcoming general elections which are due to be held in late 2018. She, too, realises this fact and the other benefits of having a CNIC apart from being able to vote. “My children don’t have CNICs yet. 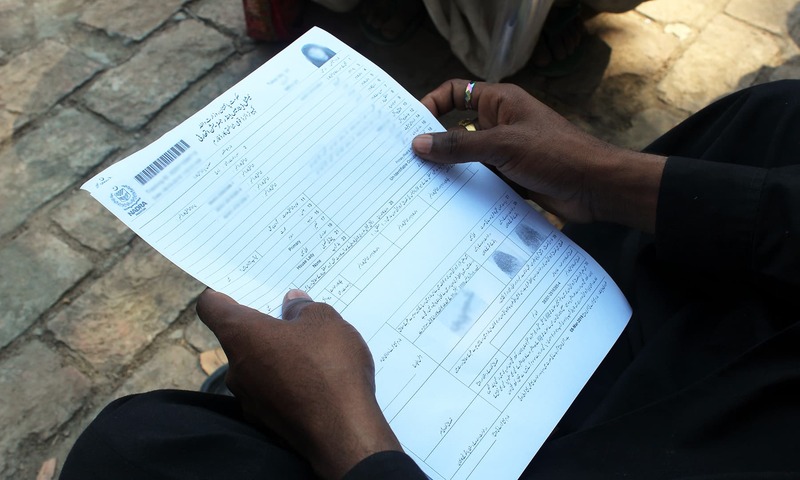 Since it is now mandatory for a blood relative to authorise the kith and kin, I am worried that if I die, they will have no means to get their CNICs”, says the now-widowed Marjana, adding that having a CNIC might enable her to get a stipend from the Benazir Income Support Programme (BISP). Marjana knows that she won’t be able to vote in the upcoming general elections too if she doesn’t have a CNIC to her name. “I will vote in the elections, I haven’t decided about the candidate, but if I won’t vote, how will I be able ask [the elected representatives] for development [in our area]?” Ironically, to this day, there is no gas or water connections in their area, and the family uses donkeys to fetch water from a nearby community tank erected by the government. Shaheen, a 25-year-old from another part of district Mianwali, has a similar story. On a Thursday afternoon this month, she is visiting the residence of the Nawabs of Kalabagh, locally known as the Bohar Bangla. Here, a mobile registration van (MRV) of the National Database and Registration Authority (Nadra) is parked in one corner, and is taking applications from women applicants who cannot travel to far-flung Nadra centres. Shaheen is one such applicant, and plans on voting for the Pakistan Tehreek-i-Insaf (PTI) candidate in their area. She is well-aware of what a woman’s vote can do. “If the women of our area won’t vote, the [winning] candidates will ultimately have lesser incentive in carrying out development works,” she says. Ambitious about voting for the candidate of her favourite political party to be in the parliament, she says she will vote as she likes even if the family males decide otherwise. “Although it is the males who decide the community’s collective vote, I will vote for my favourite candidate. I know that there is a secluded space for voting,” she says. 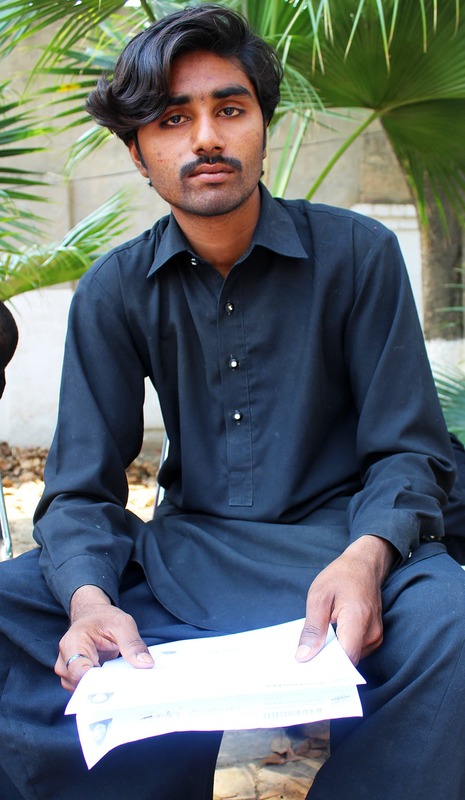 Qamar Abbas, 21, is a resident of Kalabagh. 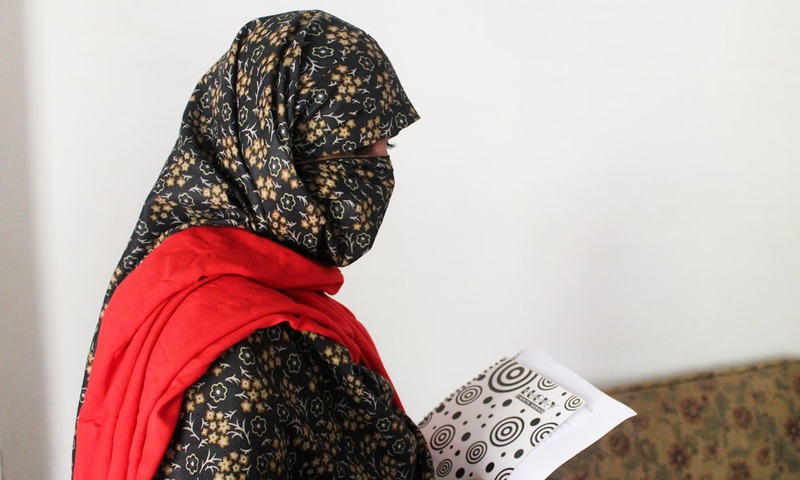 He is accompanying his wife, 20-year-old Shamim Bibi to help secure her a CNIC. Abbas, who works in a textile mill in Chakwal, has sacrificed his three-day wage so that he could be in town when the Nadra van was visiting his area. A very real problem, however, makes the participation of women in the upcoming general elections doubtful. An overwhelming number of them do not have Nadra-issued CNICs. A December 2017 fact-sheet published by the National Commission on Status of Women (NCSW) in association with a programme called Tabeer-Consolidating Democracy in Pakistan, estimates that over 10 million [adult] women in Pakistan are missing from the electoral rolls of the Election Commission of Pakistan (ECP) because they do not have a CNIC. 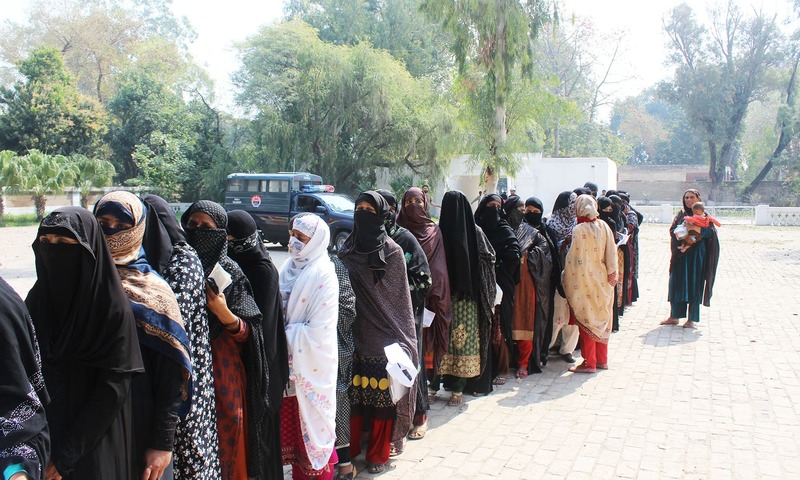 Consequently, if these women fail to register themselves with Nadra soon, they will not be able to vote in the upcoming election. 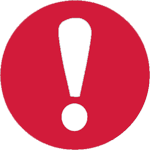 This last day for preparation, revision or correction of electoral rolls is fast-approaching and is due in April, whereas draft electoral rolls will be up for display starting March 26. Official statistics point out that the gap between male and female voters has increased over time from 10.97 million in March 2013 to 12.17 million in the rolls of September 2017. There is a consensus among the officials and civil society activists that although patriarchal norms, where women are repeatedly barred from participating in the electoral process in some areas of the country, this single provision of excluding non-bearers of the CNIC will bar a large number of women voters. 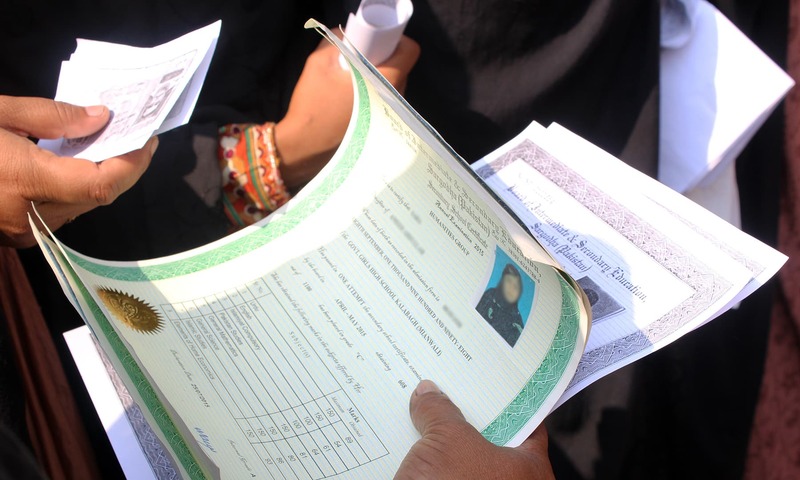 A female applicant at the Bohar Bangla, Shehnaz, says that although she will exercise her right to vote, the primary incentive for her to get a CNIC was so that she can apply for government loans, and receive a monthly stipend under the BISP. 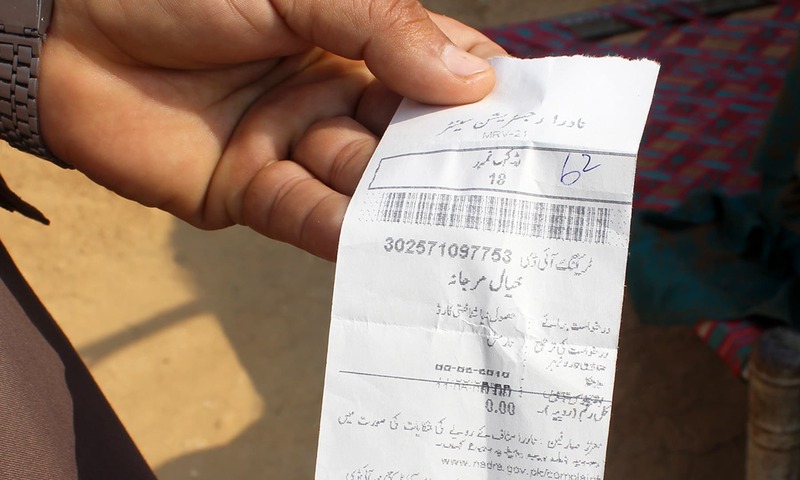 At 30, Shehnaz, single and an orphan, believes that having a CNIC will ease her financial difficulties. Tahir Mehdi, a researcher on elections and governance associated with Tabeer, says that although lack of an incentive in gaining CNIC plays an important role in the accumulation of the gap between male and female voters in the electoral rolls, incentivising it is not a practical solution and ultimately, ECP and Nadra will have to register the women voters by themselves. 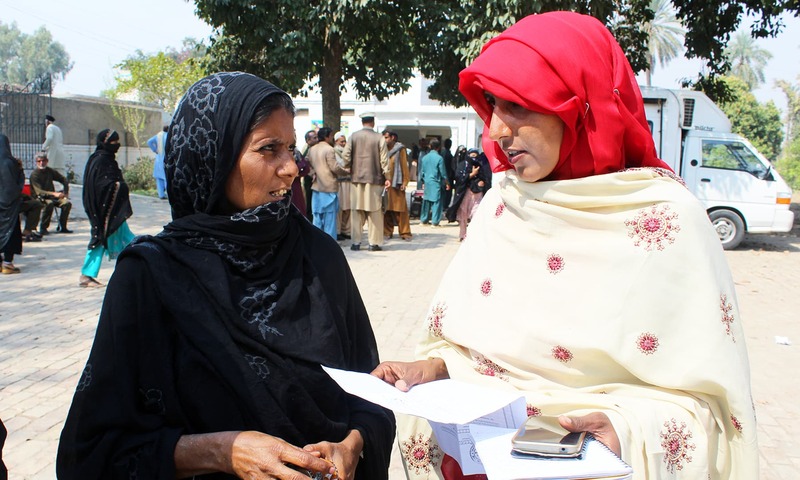 Tabeer, with which Mehdi is associated, is working in close collaboration with ECP, Nadra and civil society organisations including Aawaz-Voice and Accountability Programme to register as many women as possible by arranging MRV visits to far-off areas, and through public outreach sessions. 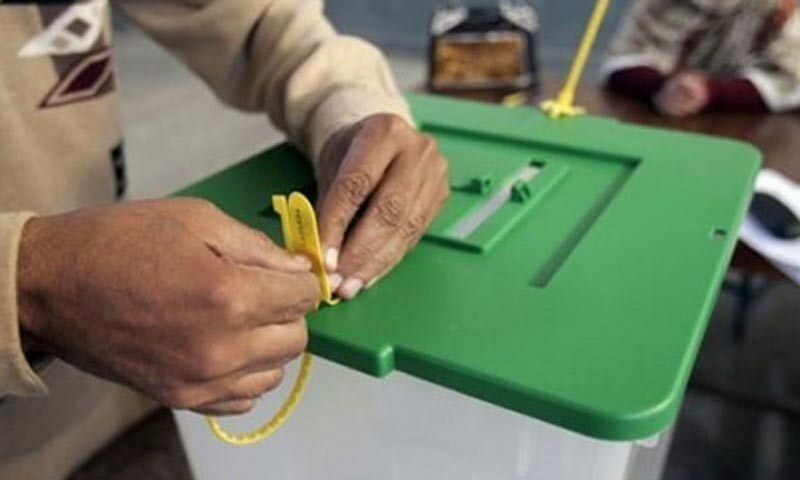 To fulfill the huge gender gap in electoral rolls, the ECP along with Nadra and civil society organisations, have launched an emergency campaign in 79 districts of the country. Mehdi, however, also outlines that the gap is so high that it is virtually impossible to bridge it until April when the electoral rolls are finalised for the 2018 elections. Khalid Ismail, senior assistant election commissioner of Mianwali says that his department was working in tandem with Nadra, religious scholars, community leaders and civil society activists. The draft electoral rolls, he says, will be available only after March 26, that is when, according to him, there will be some clarity on the number of women ‘missing’ from the rolls, after comparing them with the census results. “We do not know the exact number yet, however, I am confident that we will be able to bridge the gap by [a huge extent] because of the efforts that we are making,” he says. District Commissioner Mianwali, Shozab Saeed, echoes his views. “A coordinated effort by all stakeholders will help us reach our goal swiftly,” he says, adding that his office was providing all possible support to ECP and Nadra to ensure that as many women as possible are registered as elections approach. 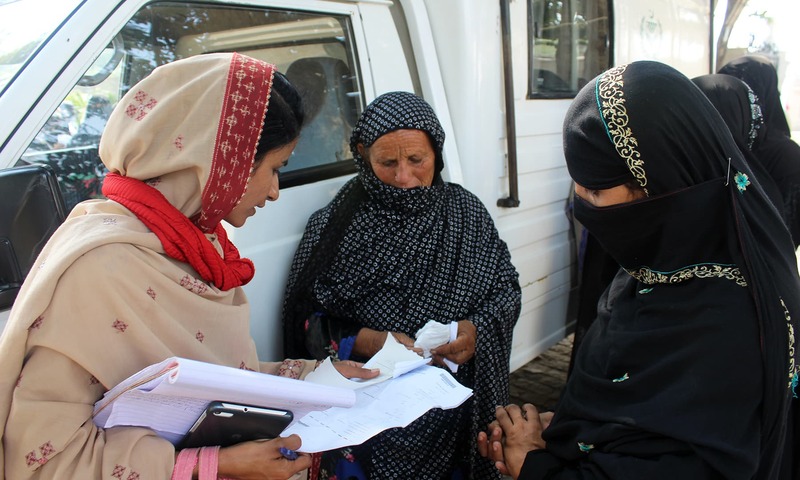 Header photo by author: An official receives CNIC application from a woman at Nadra's mobile registration vehicle in Kalabagh. Isn't it funny that someone wants to vote but do not have CNIC? ... Having CNIC is more important than voting, as CNIC determines a persons nationality and is legal requirement, while voting is encouraged and is required for nationals to make their voice heard. If someone do not even care to get CNIC, why such person cares to vote? One should not feel sympathy for such person, rather, tell them to apply for CNIC and it is responsibility as well as duty of government to provide them CNIC if they are Pakistani nationals (not for voting, but to be considered as citizen of Pakistan). Not to worry, their votes will be taken care of, either by the government or by Zardari.